Is there any way to help increase traffic to my online flipping book? I want to publish a flip book, but I wonder what I can do to increase visitations to the flip book on my website. flip book via social network sharing. All you need to do is to enable "Social Share" for the animation page turn book while customizing book style. 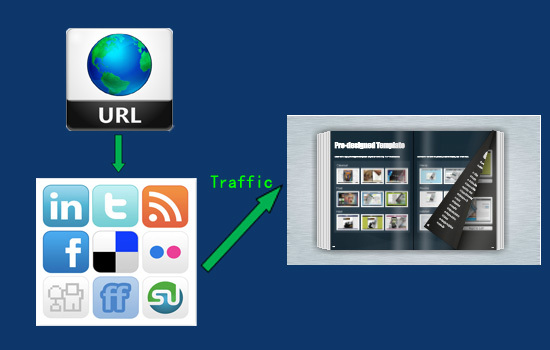 Great traffic will be directed to your online flip book via Facebook, Twitter, Digg, LinkedIn and so on. 3. Output the flipping book in HTML format.